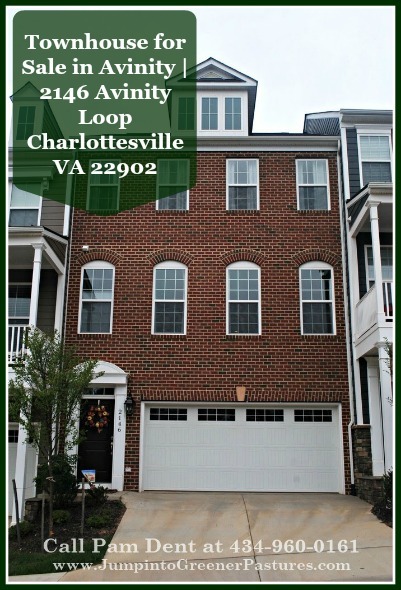 Convenience and luxury is yours to enjoy in this townhouse for sale Charlottesville VA – now at a reduced price! Luxury, quality and convenience exudes in this lovely 4 bedroom brick front townhome in Avinity. 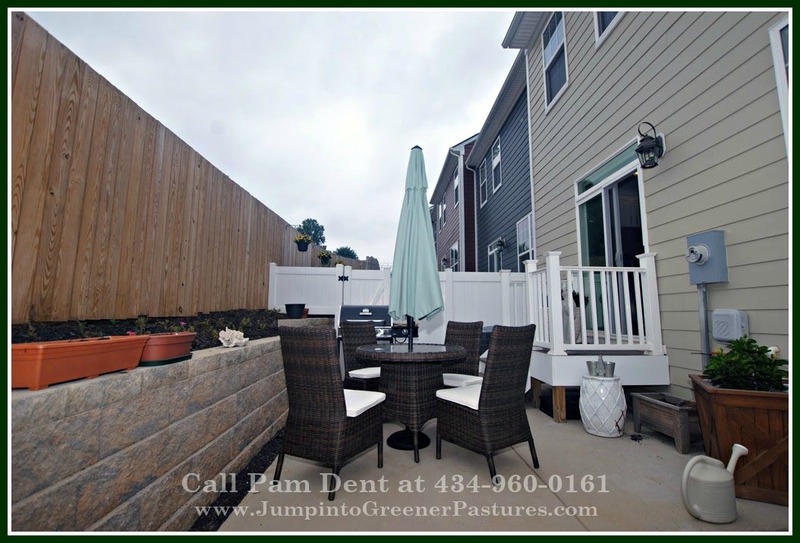 From the stunning exterior and interior, down to its location, you can be sure to live the kind of easy lifestyle only you deserve when you live in this townhome nestled just South of Charlottesville. This well situated townhome is within easy reach of downtown Charlottesville, I-64, the University of Virginia and the new 5th Street Station shopping center. Seamlessly blending the conveniences of city living with the serenity of the countryside, Stanely Martin Homes who built this Avinity townhome is one of the most respected builders in the area. The interior exudes sophistication, warmth and elegance. This luxury townhome for sale in Charlottesville VA boasts of an expansive space with its open floor plan adding to its understated elegance. The glorious sunlight streaming in, gleaming hardwood floors, the lovely fireplace and the pristine white walls will welcome you into the warmth of the living room. The well appointed dining area is just as spacious as the rest of the rooms in this home. The intimate setting adds to its charm – prepare to share great memorable meals in this exquisite dining room. The inner chef in you is in for a treat in the splendid gourmet kitchen of this Avinity townhome for sale in Charlottesville. Featuring white painted maple cabinets, a wide center island, granite counters, tile backsplash, stainless steel appliances, oak floors, crown moulding and plenty of cabinet storage, you can look forward to unleashing your inner gourmet chef in no time! 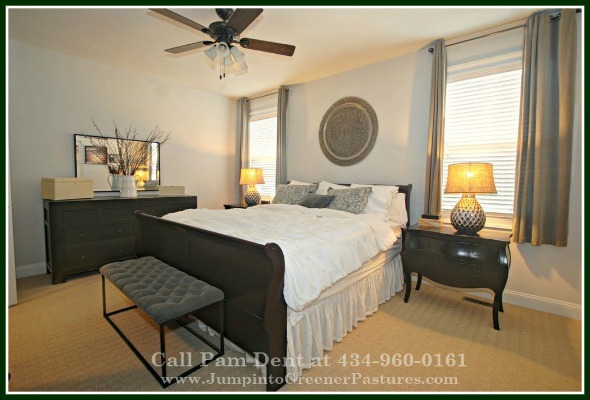 You are bound to eagerly anticipate rest and relaxation in the tranquil master bedroom of this home. Add a lavender or a jasmine plant by the wide windows, with the soft glow of the bedside lamp and the calming ambiance, you will experience your anxieties and stress melt away as soon as you step into your very own private refuge. Enjoy personal time in the immaculate master bathroom with glass shower partition. The white tiles and dark wood bottom cabinets create a wonderful contrast that adds to its elegance. All of the three and a half bathrooms in this lovely Charlottesville VA home for sale are just as well appointed! Live in a townhome that gives you the freedom of space and rooms! Right on the ground level, you will find this sizable 4th bedroom that you can easily turn into your recreation room, office, den – or whatever way you want it! The beauty of this extra room is that it holds endless possibilities; you can let your imagination run free. Bask in the delightful sun when you lounge in the terrace adjacent to the gourmet kitchen. Don’t forget to bring a good book with you! This could also be the perfect spot for you to plant your cooking herbs, flowers, and even potted vegetables to add to its already serene feel. Now is the time for you to experience the kind of top-notch lifestyle Charlottesville VA residents enjoy on a daily basis. Find out why this city was ranked 3rd in the recent Top 15 Best Places to Live in The U.S..
For more information about this luxury townhouse for sale in Charlottesville VA or other homes for sale in the area, visit www.JumpIntoGreenerPastures.com. Interested in purchasing a horse farm? Head over to my horse farm buyer’s checklist for more information! 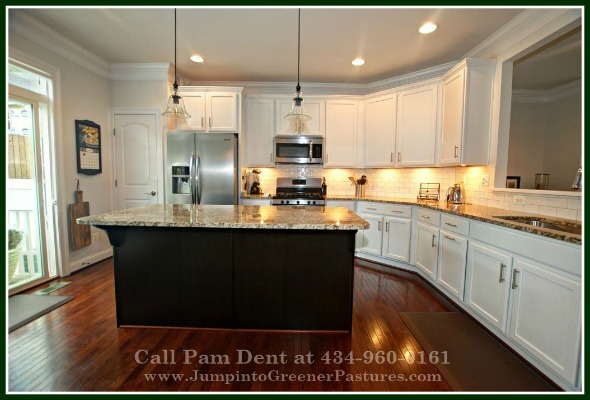 Call me, Pam Dent, today at 434-960-0161. 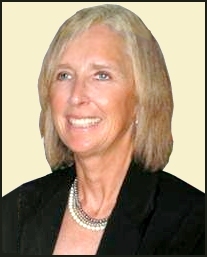 I have the professional and expert knowledge of the local housing market in Virginia, including equestrian properties, golf communities, and other homes for sale across Central Virginia. It is my pleasure to guide you through the exciting journey toward finding the home of your dreams.